Well… it must be true then! If it says it on the door, it must be true! We are in for a fantastic year, one in which you will be asked to share your ideas about our school and your aspirations for the next chapter in it’s life! One of the things we’ll be doing is to revamp our website. We’d love it to be an extension of our school day where you can show friends and family at home what you’ve been up to. Perhaps you’ve already got some ideas about what the website should offer? Why not talk at home about what you would like to suggest and leave a comment underneath to let me and others see you fab ideas! Come on, don’t just sit there… get typing! P.S. Remember, when leaving a comment don’t be put off by the e-mail and URL box. Just put 123@123.com in the e-mail box and leave the URL box empty. Thank you for a fantastic first week i hope this year will be even better.So i can have a brilliant last year at High Spen primary. See you next week MR.Firth! + it would be good to have a football team. I have really enjoyed my first week back at school and really looking forward to the Red Kite project with Miss Barron. I would be good to see house points on the website and more news about the school and High Spen also. Thanks Nathan and Elena, your comments have been noted! I think it would be great Elena if we took pictures of the excellent work you will be doing around Red Kites – you could create a digital diary on our school website! Nathan, I too would like to see High Spen joining in with lots of competitive sport this year. The problem we have with football is the lack of green space – have you any ideas? I think that Nathan is right Mr.Firth, you SHOULD have a football team. I have to say it’s great to be back! We have had a fabulous two weeks back in school to start the new school year. I am really looking forward to the year ahead and the wonderful projects and events we can all get involved in. Every single child brought their homework in last week. This is an amazing start to the year. Hi! It’s great to be back at school. I’m having loads of fun. Miss Barron is the best teacher ever!! Hi everyone. I left this school last year and i’m now at Charles Thorp Comprehensive. How is everyone settling back in at school? It’s great to be back and see everyone again. I missed you all last year. 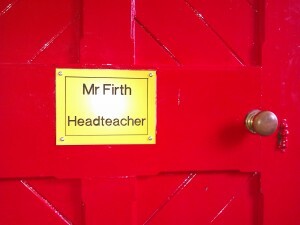 Its a great new start with Mr Firth. Keep it up everyone!! This website is great for seeing what’s been happening over the last few days if you’ve been off school. I think more people should start using it because while i’ve been on it there hasn’t been many people going on it.